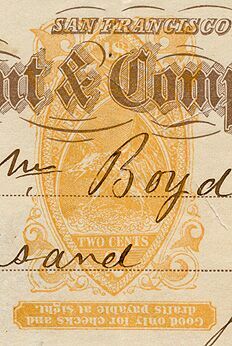 Tallant & Company checks are the ones found with inverted B17 tablets. Not all of their checks have imprints with this error. A close-up of the imprint to show the inverted tablet.